The Week So Far is a special series of The Weekly News Brief by WTX News. It is curated by our very own Yvonne Ridley. It is her reading list, her thoughts from the world this week. – It is added to each day. So Catalonia’s leader has ruled out early elections. I’m glad someone in Spain is trying to find a way to resolve the crisis over the regional government’s drive for independence. Speaking in Barcelona, Carles Puigdemont said it was up to the regional parliament to decide as the bungling Spanish government threatened to strip Mr Puigdemont of his powers and curtail parliament’s functions. Article 155 of the Spanish constitution lets Madrid take control of institutions, police and finances in an emergency. Mr Puigdemont declared independence after a referendum on October 1, which was ruled illegal by Spain’s constitutional court. 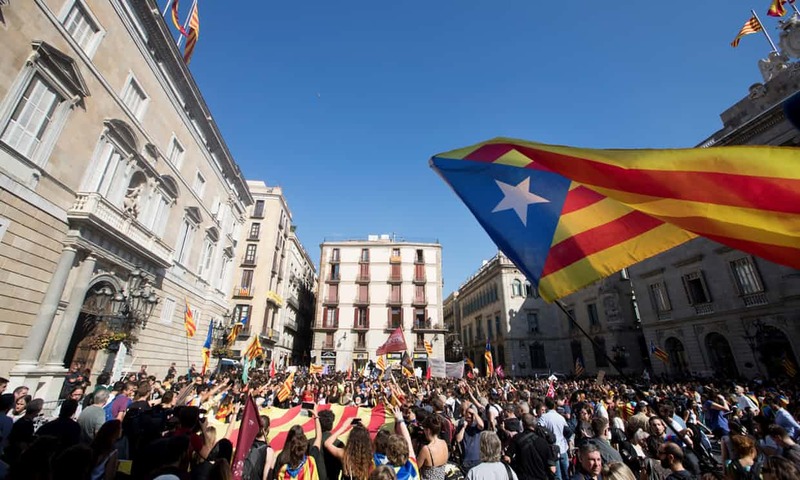 But the Catalan leader immediately suspended implementation, calling for talks. I hope the Spanish government realises this is not going to go away and after the disgraceful scenes of State violence meted out on ordinary Catalonians, I further hope Spain will resolve a peaceful solution and act like a European democracy and not some tinpot dictatorship. Franco’s days have long gone, surely? This must be a man thang! Why else would there be such excitement over the Bloodhound supersonic car aiming to break the world land speed record – and be the first to reach 1,000mph. It has already been tested at Newquay airport at speeds of up to 200mph. Just what we need in a country where the speed limit on motorways is 70mph! The big news of the week so far is the anticipation and build up to the release of the JFK files. However, it does seem like we will have to wait a bit longer to see the full and complete release of the archived files surrounding the assassination of JFK. President Donald Trump on Thursday agreed not to release the full tranche of records relating to the assassination of President John F. Kennedy. Did we expect anything else!? I’m not sure who stands where on the issue of LBGTI asylum seekers in Parliament but what should concern every one of us is that the British Government appears to be persecuting this minority by deporting them to homophobic countries with the advice to “act straight” on arrival. Theresa May’s Government has been exposed by the SNP MP Joanna Cherry who used this week’s prime Minister’s Questions to ask why the Home Office was telling gays from countries like Afghanistan, Iran and Cameroon to deny their lifestyle choice when arriving back home. May be the Pink News should put the PM on the spot and ask her again to clarify her position before inviting her back to their annual event and awards night. I’m in Johannesburg for a few days and on Wednesday night I put on a posh frock and joined the great and the good for the Minara Business Recognition Awards for Muslims attended by a sprinkling of government ministers, entrepreneurs and some of South Africa’s business titans. Among the glittering prizes at the event was a Lifetime Achievement award given to poet and author Dr Muhammad Ummarudin Mattera. Like most octogenarians, Don, as he is affectionately known, is not easily impressed and after listening to the accolades, tributes and a history of his achievements as an anti-apartheid activist who led the politics of ‘Black Consciousness’ in the 1970’s, he scanned the banqueting suite before berating the audience. “Not one of you has mentioned the 30 million homeless in South Africa who sleep on the streets,” he chided. Well we have now, Don! Thank you for the reminder. I came across this anniversary on Monday. It never fails to shock me. On this day, October 17 in 1961 the French police massacred 300 Algerians in Paris. Their crime? Demonstrating for independence from France. Your support is vital in helping us do the most important journalism of all: where we dissect through the propaganda, the fake news and other stories to bring you the best and most reliable source of news briefing. Support our independence, invest in our quality and champion our investigative journalism.